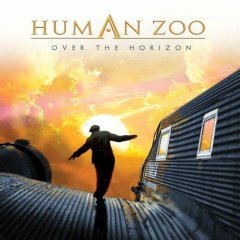 The 3rd album from Human Zoo is a real good CD with music for the radio listeners and others who like straight forward AOR and hard rock. Everything is worked carefully to get the best result in both soft and hard rock with rock tunes that goes soft with saxophone and pleasant guitars in the 12 songs available here on their new album. Their best songs are Gimme Your Time, a very catchy melodic saxophone driven ballad with a good hard attitude so it doesn't turn into meaningless pop music, but hangs on to the quality of a good rock band. 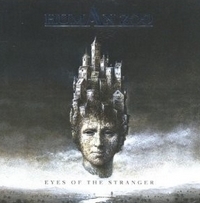 Eyes Of The Stranger collects up the concept of the album with saxophone and great vocals in sublime unison performance of soft rock'n'roll. Welcome To Paradise is another hard guitar based song where they show the style they have as their trademark. The songs don't seem to be too different, and it could have been a good idea if there was more spreading in the rock vocabulary for the creation of the songs, but this nothing to give the album a lesser quality, I just feel they have it inside their capabilities to include more different styles that would give an even better impression of their work. With Over The Horizon the German hard rockers present their 2nd album. In 2006 they debut with Precious Time and made the first step into the lime light with Human Zoo, but when you take a look at the line-up then you read names you heard before. Drummer Tommy Strobel and saxophonist Boris Matakovic been members of Subway and bassist Markus Ratheiser was a member of Glenmore. So it's quite obvious what's the musical direction of the sextet. As on Precious Time the guys open up with Cosmopolitan Scene - this time Part II. The intro has a symphonic rock feeling with some almost spacey sounds, but with Cryin' they kick off into the rocking world of Human Zoo. Somehow I have to think of Steelheart... And other bands from the late 80's / early 90's. The tune is guitar-driven, catchy and the powerful vocals of Thomas Seeburger partly have a slight aggressive tone which fits very well. The following title track Over The Horizon is a bit slower and more in the vein of Trixter and has a touch of Gotthard... With Want It they present another track of stadium rock which sticks out due to the saxophone part. The saxophone adds some pop-rock feeling, but with heavy guitar riffs it won't get too mellow. The chorus can easily been sing along - like on many stadium rock tunes. Okay, some of the lyrics at this album are a bit too simple. But does anybody really want some critical or highly sophisticated lyrics with this type of music? I don't think so. With Be The One they offer a piano-based ballad, something no hard rock / melodic metal album should lack. Thomas Seeburger is handling the soft notes well, but it don't really touches you deep within. The ballad is a bit kitschy - like so many others. And with Rock Your Town it gets heavy again. A heavy groove is driving this one. Acoustic guitar leads into the final track Endless Road and kinda fades out the album slowly... And with a bit melancholy this album ends. Everybody who likes bands like Tyketto, Steelheart, Bon Jovi and Gotthard should give this one a try. In the early 90's they could have make it big, but it's great to hear good music anyway! This album brings back memories!